K-pop legends BTS teamed up with scene legends Fall Out Boy for a remix of their song “Champion,” and it turns out it’s making rock chart history for BTS. BTS’ RM made an epic appearance on the track's remix, and it marks his first solo appearance on a number of Billboard charts—including the Rock Digital Song Sales chart. This is actually a massive feat for K-pop groups as a whole. As Billboard explains, K-pop acts are typically found on the dance/electronic, R&B and hip-hop charts, making RM’s appearance on the rock chart proof that K-pop is actually taking over. Not to mention, it marks a new high for “Champion” as well, with the original track peaking at No. 4, but the remix hitting No. 2 on the Rock Digital Song Sales chart. 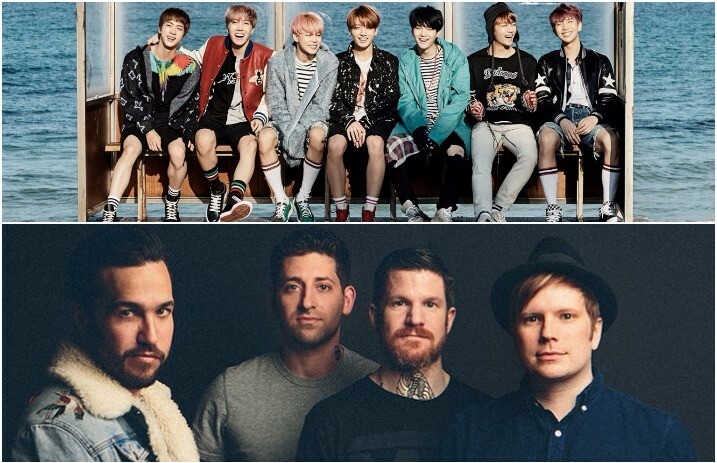 What are your thoughts on the FOB+BTS collab? Let us know in the comments below!